INSPIRE has the purpose to experiment an integrated system of services and interventions to tackle new social demands. It aims to establish a virtuous cycle starting from the need of care for social fragilities and reaching the goal to ‘activate’ all the involved stakeholders, including fragile users and proximity networks. It aims to stimulate the creation of innovative forms of social entrepreneurship in response to the reductions of public expenditures and the ongoing reforms in Italy. Started in mid-September 2015, the duration is of 27 months. INSPIRE is implemented by the Department for Social Policies, Subsidiarity and Health of Roma Capitale, in collaboration with both public and private research and consulting organizations (Studio COME, MIPA, Iasi-CNR, DIAP Sapienza) together with third sector organizations operating in the field of social services (Comunità Capodarco di Roma onlus, Cooperativa Manser, Cooperativa Il Grande Carro, Forum del Terzo Settore del Lazio). The project is part of the EU Programme for Employment and Social Innovation (EaSI) - PROGRESS axis. The iniative aims to innovate and extend the provided social services and to enlarge the number of users so far excluded due to lack of economic resources. In many European countries, like Italy, a reform of social services is needed to obtain spending efficiency combined with more personalised and integrated services. For this reason, the project is contributing to a reorganization of welfare services, by making them more efficient and reducing administrative burdens, contemporarily activating local private social resources in integrated and functional ways. 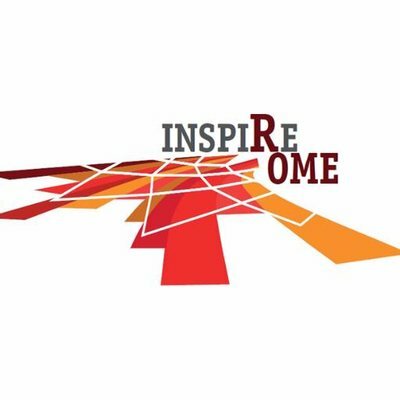 INSPIRE intends to respond to specific needs of the City of Rome’s vulnerable people, and then to define new and more effective social innovation routes. The active inclusion of service users, carers, family members and citizens is one of the aims of the project’s experimental phase. Actually, being the main beneficiaries of the project, they are the focus of the experimentation with the: tutoring for users and their families, currently available for 60 fragile adults; social and occupational labs, currently available for 100 disabled people and adults with mental health problems; ‘social condominium’ (social co-housing), currently available for 20 older and disabled people. In addition to these initiatives, other citizens have been involved as ‘social watchpersons’ with the aim of stimulating the inclusion of the beneficiaries in their community and enhancing the proximity networks. INSPIRE relies on the use of IT tools and systems planned to support the project's potential in stimulating the activation of proximity networks for fragile users. Among the main project's outputs, the SIS (Social Informative System) is a digital system composed of a front-office application accessible by a simple web browser through which Roma Capitale’s operators (Department of Social Policies, Social Secretariat and Professional Social Services of the Municipalities) can upload beneficiaries’ data and keep track of citizens’ needs assessment. It is already compatible with other social databases and regional informative systems. The INSPIRE system takes into account the needs deriving from the introduction of new measures to tackle poverty and promote social inclusion, such as the SIA (Support to the Active Inclusion). This informative system is designed to make available a database of the offered social services, a sort of civil registry of those structures and entities that are offering social services in the city. After a testing phase, social operators in the five experimental municipalities have been trained to use the informative system. A social network architecture for vulnerable people and its implementation on widely available, pervasive and easy-to-use technologies like the Social Networks and smartphone apps. A system of operative centers (shared condominiums, outpatient clinics, parish, etc.) , which are particularly important for the vulnerable people because they can recognize the person and allow him/her to join the Solidarity Community. Sustainability of integrated care models that actively involve beneficiaries from an economic and organizational point of view. This theme relates to the possibility of achieving better results for more people without causing higher public expenses by means of integrated services run by cross-sectoral partnerships. The project experiments a new model of local welfare, whose strategic aim is to activate both local social components (e.g. district-based operative centre and social condominiums) and disadvantaged human resources (socio-occupational workshops), by using an institutional framework. The innovativeness of the project so far lays in the results it aims to achieve: in the idea of building a new set of social policy that strongly empowers and activates local resources.